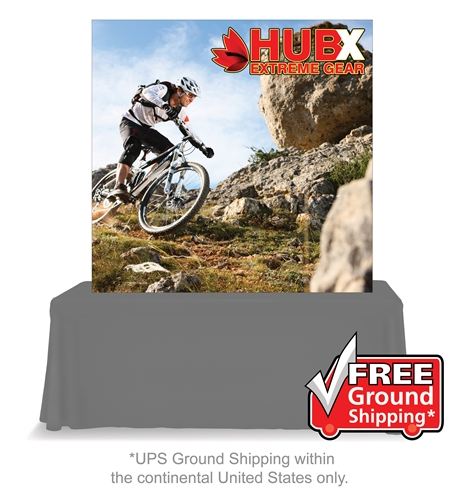 This versatile display is quick and easy to assemble. Now available in two widths. This unit features plastic connectors. 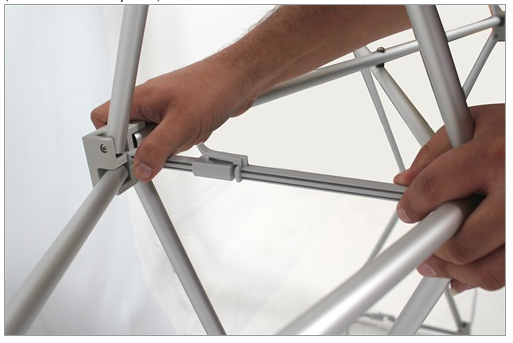 Our Premier Pop Up uses all metal connectors. If your display does not have end caps, do not design into this area.